A wife has cried out after her husband annulled their wedding without her knowledge then got married to another woman. Mrs Bibiana Linus Onyeulo said her husband, Mr Linus Uzodinma Chibuzo Onyeulo, who married her in the Catholic Church, annulled their wedding without her consent then began planning a wedding with another woman. When Mrs Onyeulo found out, she complained to the parish priest of All Saints Catholic Church, Avutu Obowu in Imo state. She also reported to the Catholic Bishop of Okigwe diocese, Most Rev. Dr Solomon A Amatu. Rev. Amatu asked her to get a copy of the annulment letter her husband obtained from the Vicar of Okigwe diocese, Rev. Fr. Michael Agbayi. 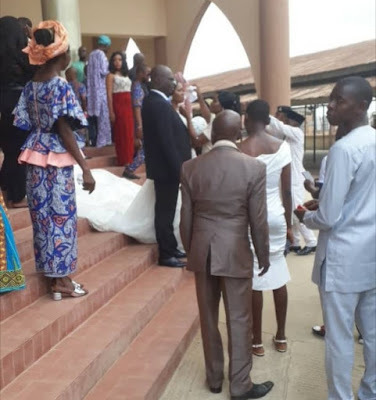 She was still in the process of trying to get the letter when she got information that her husband, who fixed his wedding to hold in Lagos on October 20, 2018, had already married the woman at their home town on Sunday, October 14, in the Catholic Church. The couple was joined by the parish priest of All Saint’s Catholic Church, Avutu Obowu, Imo state. She said she returned to the Bishop of Okigwe diocese to report the new development to him, that her husband had married someone else before the conclusion of their case. The Bishop still asked her to go and get the annulment letter from the Vicar of Okigwe diocese, a letter the Vicar refused to give her until he gets a confirmation from the Bishop of Okigwe. The Vicar eventually agreed to forward the letter to the Bishop and asked the aggrieved wife to return October 23, 2018. To stop the wedding of her husband from holding in Lagos today, Mrs Onyeulo wrote a letter to the parish priest of St. John The Evangelist Catholic Church Ladipo, Oshodi, Lagos State, asking that her husband should not be joined in holy matrimony with another woman since they had not properly ended their marriage, at least not with her knowledge or consent. I simply request that my husband's wedding should be stopped until I get to the root of his conspiracy and also get an appeal, along with a fair hearing from the bishop and judicial Vicar of Okigwe diocese because if this wedding continues, it means this would be his third wedding in catholic church (One to me the genuine wife and twice the second wife). In spite of her letter, her husband was joined again in holy matrimony to the other woman today, Saturday, October 20, 2018. 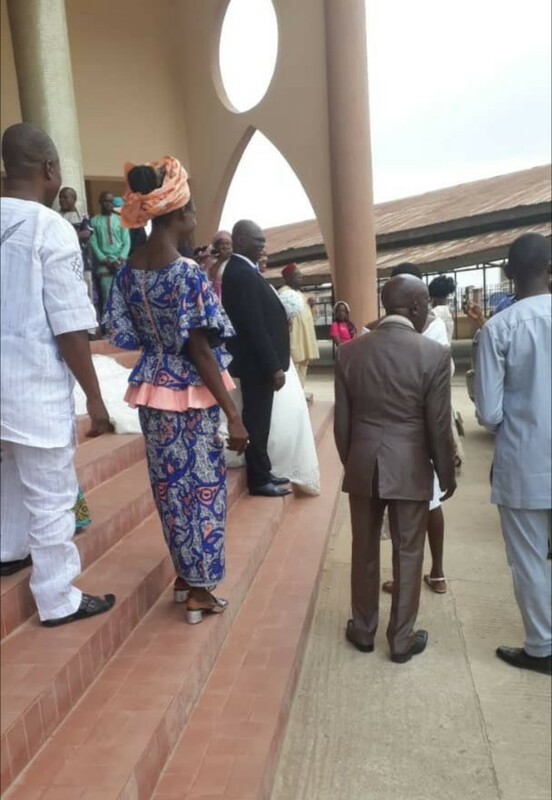 The worst is that st John parish church priest named Fr Patrick Obayomi who verbally confirmed to us that the wedding will not hold at his parish here in Lagos because I raised issue on the bans of marriage, that all files was transferred to the east where my husband's first wedding was held to the 2nd wife.